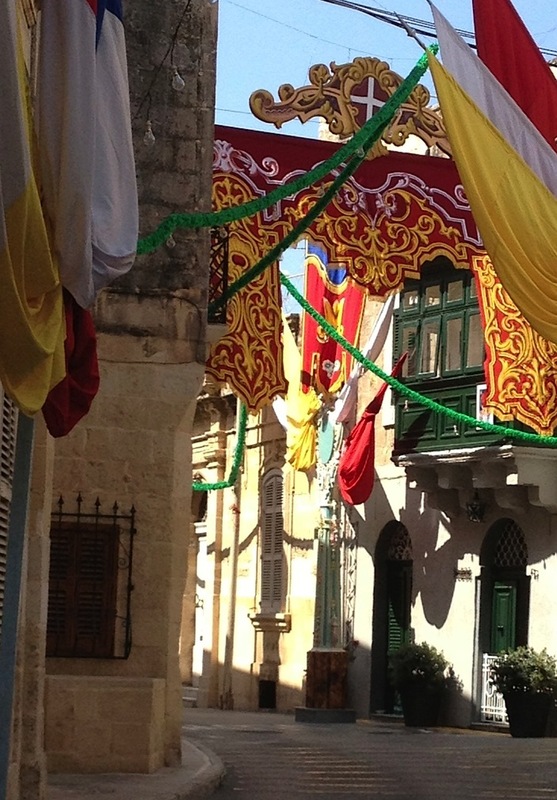 During the months of July and August in particular, the Maltese villages honour their patron saints. Each village starts to prepare for the "festa" days before the main event. Streets are being decorated with garlands, banners and emblems, Christian figures crown decorative statues in the piazzas around the church, the community's brass band is busy rehearsing and petards greet the saint three times per day, topped with a beautiful firework on the day of saint's appearance. 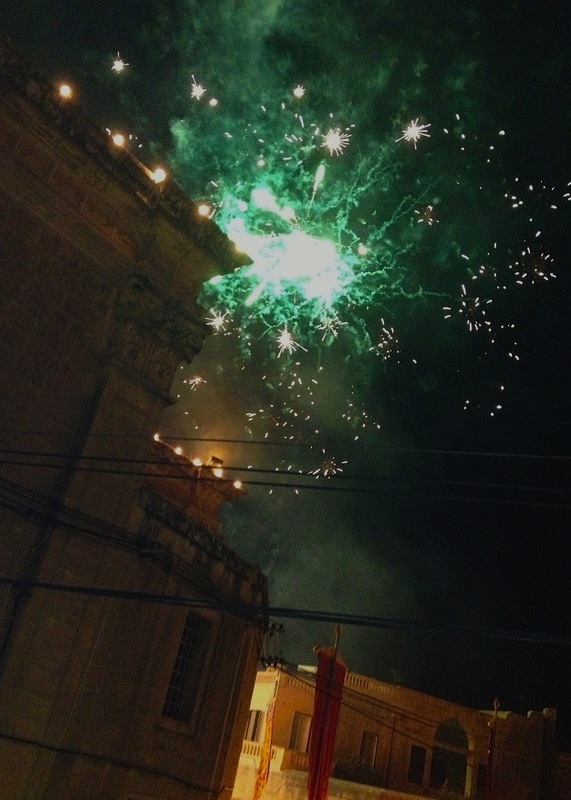 Attard is one of the "three villages" (with Lija and Balzan), located right in the center of the island of Malta. This small community celebrates rather modest compared to other communities, but equally impressive. Santa Marija is their parish\47s patron saint, and her day is August 15th. The night before, the brass band played their best from religious tunes to songs by Lucio Dalla and Hans Zimmer, accompanied by fine soloists, while all chairs were taken, and children sat on the banister around the piazza. People met in the restaurants for a drink and the parish center's large yard had been turned into an open air restaurant. August 15th and the days prior to the event, many blessings were given and masses celebrated by the parish priest's to honour Santa Marija. In the evening of the day of Maria Assumption, her statue was carried out of the church by eight strong men and helpers, accompanied by a catholic symbols and parishoners. 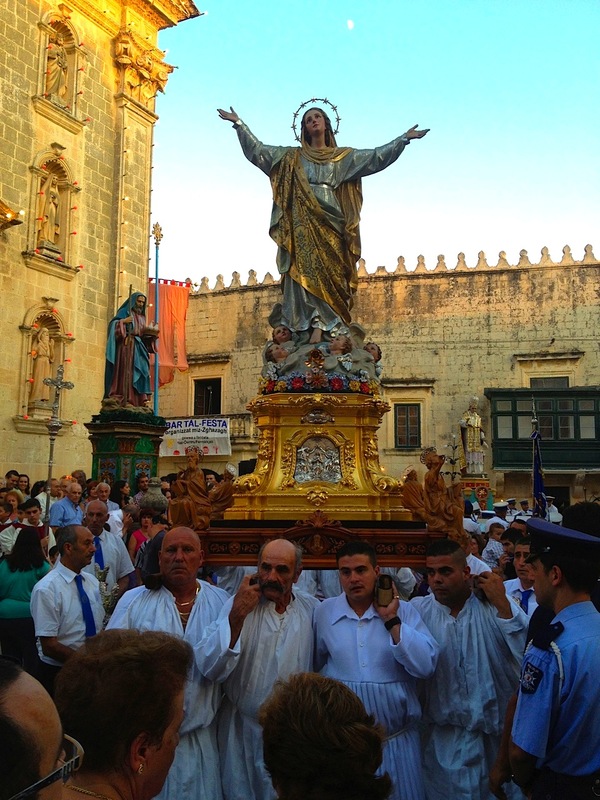 The brass band played, a choir sang, and a baritone gave the Maltese version of the Ave Maria. And Santa Marija danced to the tunes, while her statue was slightly swayed to the music, before the procession took its route through the village.